- Cute Elegant Animal Wall Hooks,this hanging hook is a perfect gift for all wall art lovers, make your home classic and show your personality.Best choice for kids room. - Body-friendly.Made of natural Resin,not harmful to the environment and health.Max hanging weight up to 5KG. - Easy to install with no-trace nails. - Creative Animal design.A great gift for home decoration. - Mutifunction.Also be used as coat hook, towel hook,key hook, jewelry hook, hat hook for household. The size is measured by hands, please allow minor error ofmeasurement. Photo color might be a little different from the actualproduct due to color display of different monitors.Thanks forunderstanding! 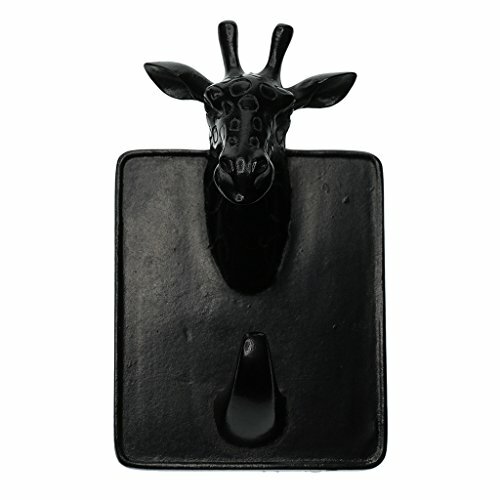 Cute Elegant Animal Wall Hooks,this hanging hook is a perfect gift for all wall art lovers, make your home classic and show your personality.Best choice for kids room. Easy to install with no-trace nails. Long lasting, and safety attached, it will give you extra safety while motorcycle at night. Body-friendly.Made of natural Resin,not harmful to the environment and health.Max hanging weight up to 5KG. Mutifunction.Also be used as coat hook, towel hook,key hook, jewelry hook, hat hook for household.